The Little Rock Travelers were a minor league baseball team based in Little Rock, AR from 1960-1961. Games were played at Ray Winder Field. The Little Rock Travelers (1960-1961) were the third franchise of the same name. 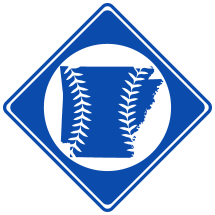 They were proceeded by the Little Rock Travelers (1915-1958). After the Southern Association folded, the Travelers were left with a league to play in in 1962. However, the team returned in 1963 under the new name, the Arkansas Travelers.